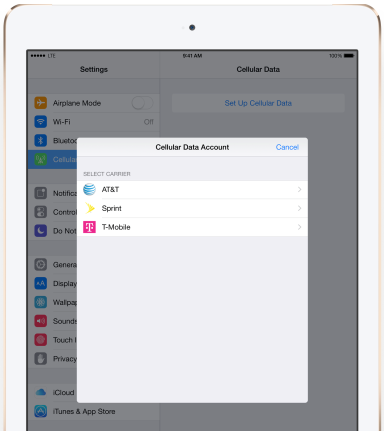 3Gstore.com Blog: iPad Air 2 Uses new Apple SIM to Switch Between Carriers with Ease! iPad Air 2 Uses new Apple SIM to Switch Between Carriers with Ease! Good news for cellular iPad users! The new iPad Air 2, which goes on sale tomorrow, will come with Apple’s own semi-unlocked SIM card. The SIM will work with multiple US carriers including AT&T, Sprint, and T-Mobile. Unfortunately, Verizon won’t be supported! Users who want Verizon service instead will likely need a CDMA model of the iPad. Of course, Sprint does support CDMA as well, but for some reason the Apple SIM won’t support Verizon’s. Now, if you start with one carrier, you’ll have the option and ease to switch to another!